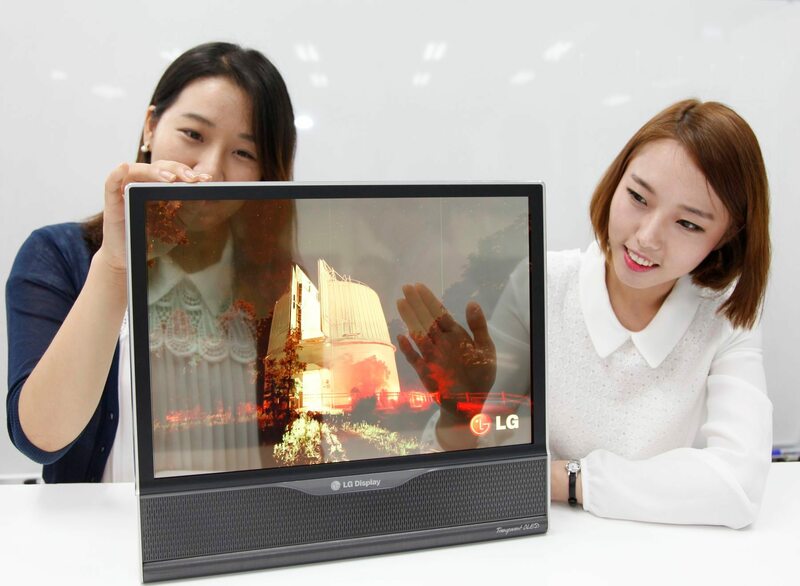 Everdisplay is expected to start mass-production in the fourth quarter of 2014. According to OLED info’s interview with the marketing team of Everdisplay, Everdisplay will begin mass production in Q4 of 2014 and be the first AMOLED mass producer in China. An officer of Eerdisplay’s marketing team said, “it focuses on small and medium size display targeting smartphone, wearable device and automotive application and is developing a flexible OLED panel for the next generation production.” It showed that the mass-production will begin soon by releasing pictures of AMOLED panel prototypes in 5 inch (293 ppi), 5.5 inch (267ppi) and 6 inch (244ppi). Currently, Everdisplay plans mass-production in Gen4.5 LTPS line, which is under construction in Shanghai, China and capa. is 15,000 pieces per month based on mother glass. http://jpn.olednet.com/wp-content/uploads/2015/01/140716_ever.gif 455 691 OLEDNET http://jpn.olednet.com/wp-content/uploads/2015/09/logo_oled.png OLEDNET2014-07-16 18:23:532015-02-02 18:29:27Will Everdisplay be the first small and medium AMOLED panel maker in China? 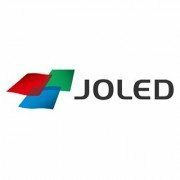 http://jpn.olednet.com/wp-content/uploads/2015/01/141114_LGD.jpg 1402 1800 OLEDNET http://jpn.olednet.com/wp-content/uploads/2015/09/logo_oled.png OLEDNET2014-07-10 10:54:322015-02-03 11:00:26LG Display successfully developed world’s first flexible and also transparent OLED. The use of OLED is now expected to be extended from interior light and rear lamp to display of automobiles. According to the display industry, LG Display (LGD) is negotiating with German automakers for plastic OLED panel supply. LGD ranked 4th in auto display market following Taiwanese Innolux, Japan Display and Sharp of Japan. It aims to take over the global market by reaching 1 billion dollars in sales based on the OLED display by 2016. Most of major panel makers are currently focusing on leading the auto display market. At SID 2014, the major panel makers including Japan Display, Sharp, AUO and Tianma mainly showed displays for vehicles. LGD also reinforces targeting auto display market by integrating future technologies including transparent display. A fierce competition is ahead among major display companies. The flexibility and durability; shock- and vibration-resistant, of the OLED as well as the fact that transparent display can be realized with it will accelerate its entry to the auto display market. For auto rear lamp and interior light, the major OLED lighting panel makers including LG Chem. and Osram are developing the OLED and a new market is within the reach. If the OLED rapidly forms the auto display market, it will become a great cornerstone of the OLED industry along with mobile, TV and general lighting. http://jpn.olednet.com/wp-content/uploads/2015/01/140704_자동차산업.png 864 1257 OLEDNET http://jpn.olednet.com/wp-content/uploads/2015/09/logo_oled.png OLEDNET2014-07-04 18:19:192015-12-28 17:02:53Automobile Industry, will it be the foundation of OLED industry? Set makers are launching various smart watch products such as Galaxy Gear and Gear Fit by Samsung and G-Watch by LG after the smart watch by Sony. With this, display companies accelerate development and mass-production of panels for the smart watch. At present, OLED, LCD and e-paper are the panels applied to the smart watch. 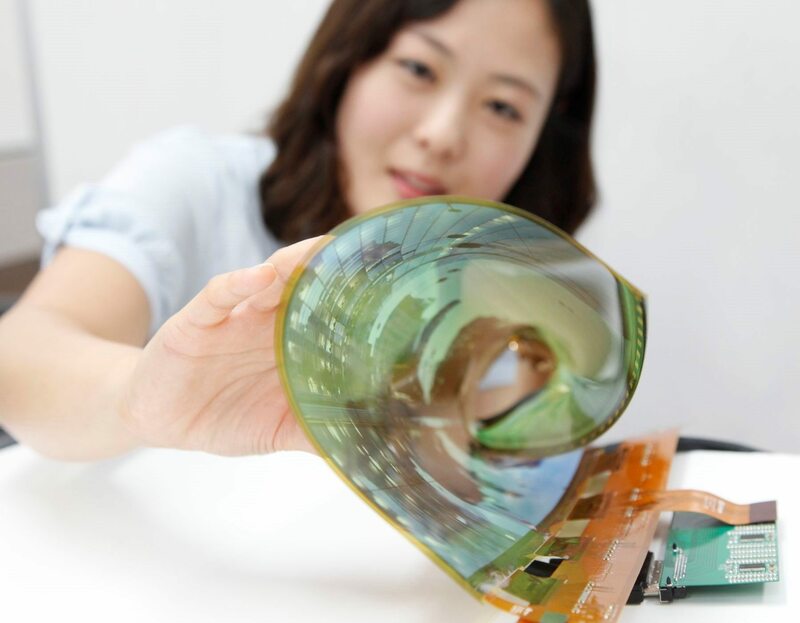 Also the flexible OLED is preferred for the wearable smart watch. 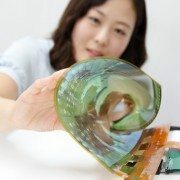 Samsung Display is currently mass-producing the flexible panel for the smart watch, and LG Display will also start to manufacture them in the latter half of this year. Futaba of Japan has completed the development of PMOLED for the smart watch panel, and AUO introduced an ultra-thin OLED panel showing its at SID 2014 will to enter the panel market for the smart watch. Shipments for the world’s smart watch market in 2014 are expected to 7 million but Apple Inc., aims to sell 9 million products in 2014. Thus, the smart watch market is a business with high potential to grow explosively and is where fierce technology competition will be between the panel makers.